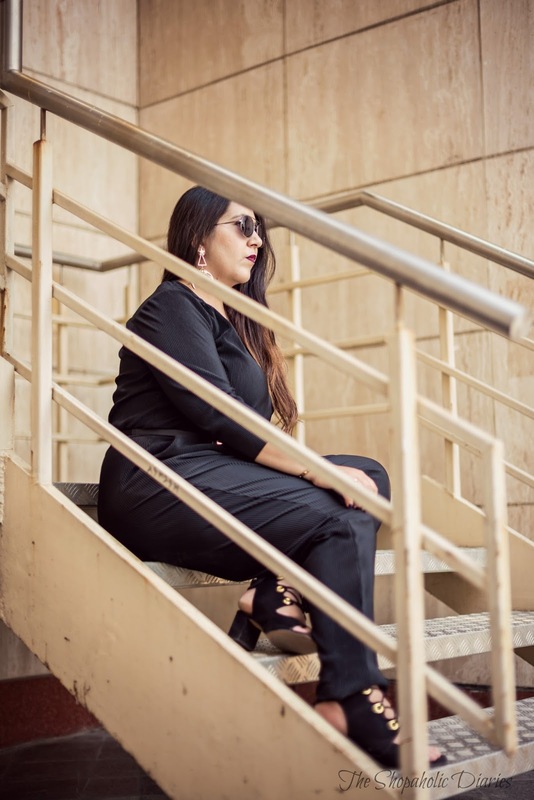 OOTD - Jumpsuit To The Rescue - Curvy Style Guide | The Shopaholic Diaries - Indian Fashion, Shopping and Lifestyle Blog ! So I have a kinda on-and-off relationship with jumpsuits. Ask me why? Well, because first - I love these one-piece wonders which are the best thing to wear on days you don't want to worry about pairing up wardrobe separates. Secondly, no matter how comfy and chic jumpsuits look, not all jumpsuits go well on every body type. So, it is a tough task to find a decent jumpsuit, especially when you are curvy, that not only fits you well at all the right places but is also dressy (not making you look like you stepped out in your pyjamas). 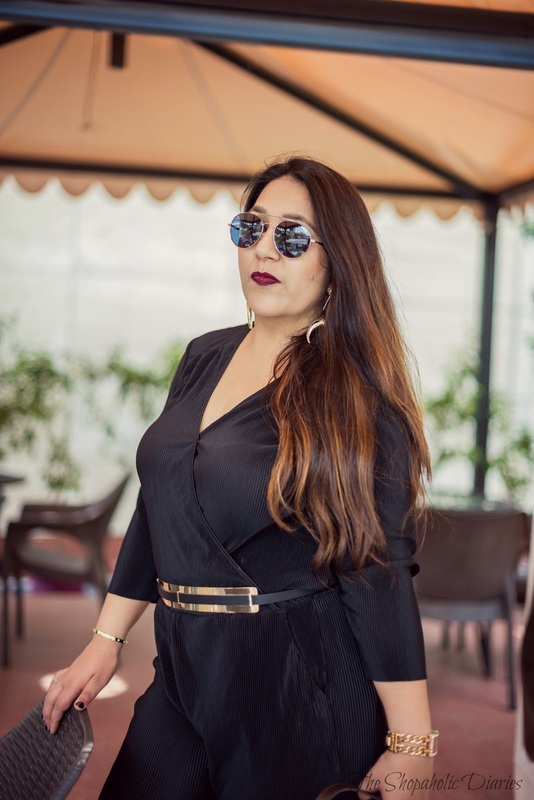 However, when I saw this glamorous black number at Vero Moda few months back - I was surprised - because not only it is the most comfortable jumpsuit I picked, but also because it also fit my bestie (who is very skinny) very well. So, we both ended up picking the same jumpsuit and thought of endless ways we could style it. And this jumpsuit's first outing with me was for an evening party recently. To break the monotony of the outfit, I styled it with a chunky waistbelt and statement earrings - both from H&M. 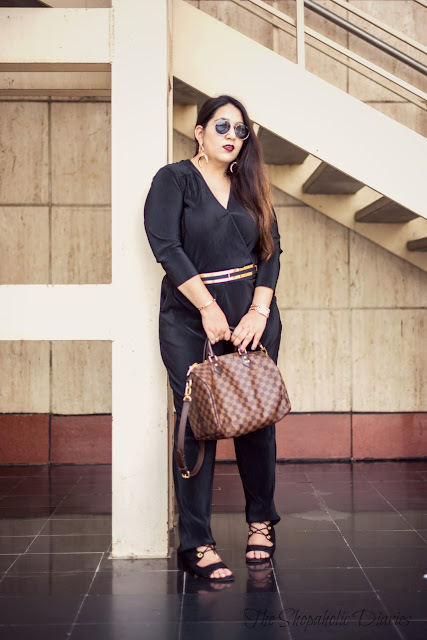 My favorite H&M sandals were once again a savior, as they looked great with this jumpsuit too - and you would see me wearing these a lot often. 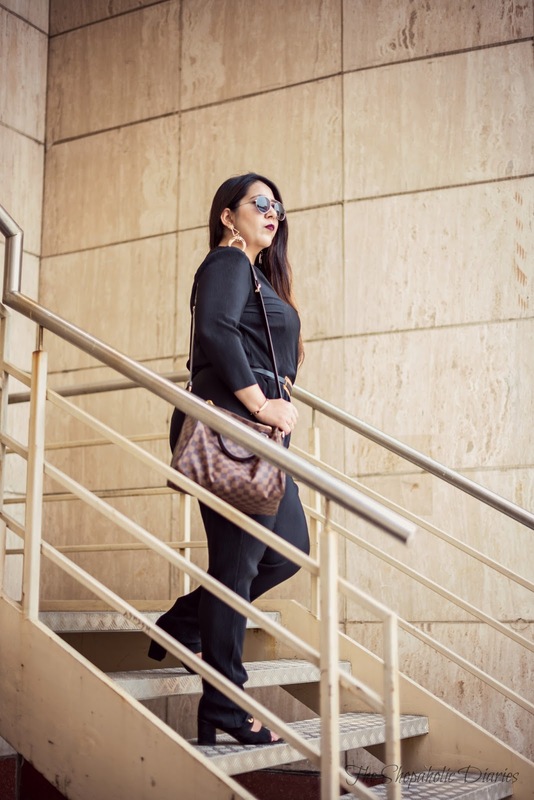 I am also loving my Speedy 30 as not only it's versatile and looks great with every outfit, but it is also spacious enough to carry along all my esssentials - whether I am going for work or a dinner with friends. 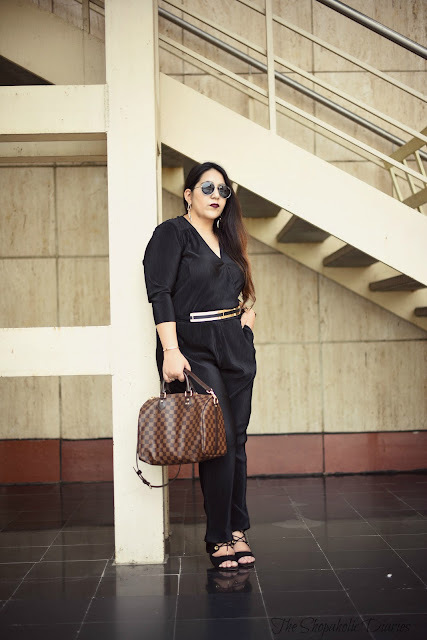 Firstly, make sure the jumpsuit fits you well. It doesn't matter if it is body-hugging or a slouchy one like mine, if it fits perfectly - you can make your look polished in many ways. Cinch your waist with a trendy belt to define your figure. Go monochromatic - Wearing a monotone from head to toe will make you look slimmer and stand out in a good way. Pair it with a blazer to add up a layer that will make the jumpsuit more subtle. 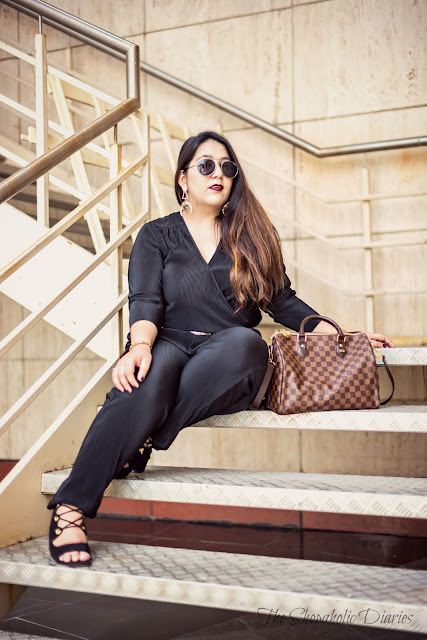 If you're going for a wide leg jumpsuit, make sure you finish your look with a pair of heels to make you look taller and leaner. Do you know of any other great ways to style a jumpsuit? Share with us in Comments below!